Want to learn more about the breastfeeding resources in Southern Nevada and join a group promoting breastfeeding to parents, doctors, nurses, lactation consultants and more? 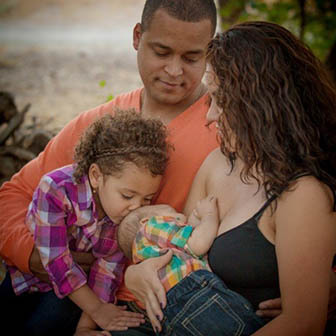 Attend an upcoming Southern Nevada Breastfeeding Coalition meeting! Our meetings are once a month, on the third Wednesday of each month at 12-1pm PST. To learn more, click below. The goal of this campaign is to encourage more women to breastfeed their babies and breastfeed for a longer duration by making our community friendlier to breastfeeding families. 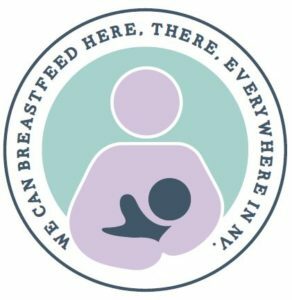 The use of this symbol will be to both alert moms to public locations where they can breastfeed comfortably and to encourage the perception that breastfeeding is normal, accepted and welcomed. To take the pledge for your business, click below. In 2011, the Surgeon General issued a Call to Action which lists a hospital’s responsibility to assist women in their goal to successfully breastfeed, as it is in the hospital that women begin to fulfill their decision. The overall objective is to meet the Health People 2020 Breastfeeding Goals. This is the 2012 assessment report for Nevada Hospitals. Breastfeeding provides optimal nutrition for infants and children. Breastmilk is the perfect first food that helps our babies grow and thrive. Families may begin to ask themselves questions about how they want to feed their babies during pregnancy. The best ways to reach your breastfeeding goals is to gather information from reliable evidence based sources and to foster a strong support system. Having support from friends, family, or healthcare providers can help you achieve success on your breastfeeding journey. If you will be giving birth in the hospital ask questions about your stay and how they will help support your decision to breastfeed. Getting a good start in the hospital will allow you and your baby to learn together. The Southern Nevada Breastfeeding Coalition (SNBC) was formed in 1992 to serve as an advocate and resource for breastfeeding families throughout Southern Nevada. The SNBC serves Las Vegas, Henderson, Summerlin, and the surrounding areas throughout the Las Vegas Valley. When it comes to breastfeeding education and support, it truly takes a village. Our mission is to inspire, educate, and build community support to make breastfeeding the norm for infant feeding in Nevada. The coalition also offers educational trainings and events to provide opportunities to learn more about lactation management and support. SNBC members are from all diversities and disciplines throughout the community and anyone who is passionate about breastfeeding! We welcome breastfeeding parents, local physicians, lactation professions, nurses, WIC employees and anyone else who has a passion to support and improve breastfeeding rates. The Southern Nevada Breastfeeding Coalition welcomes the Breastfeeding Community to join us on the third Wednesday of each month to discuss and plan upcoming events, educational opportunities, and to share ideas and resources. The meetings are held at the Sunrise Children’s Foundation on 2975 E. Desert Inn Rd #100 Las Vegas, NV 89121. We would love to have members join us in promoting and protecting breastfeeding. 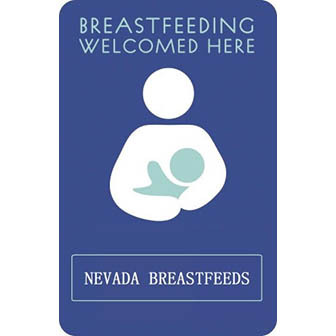 Businesses in Southern Nevada can support nursing mothers by taking the pledge to become a breastfeeding friendly business. We can all do our part to support a healthier community here in the Las Vegas valley. The Coalition supports members of the community who wish to nurse their babies, and we strive to be a reputable resource for all nursing families in our community (including but not limited to): the Lesbian, Bisexual, Gay and Transgender (LGBT), African American, Low income and everyone else in between. As a 501c3 Non Profit, we are dedicated to provide trusted resources in the community for all questions breastfeeding from the topic of Breastfeeding and Marijuana/alcohol and Tobacco use, benefits of skin to skin and so much more! If you have questions, comments or concerns please contact us at snvbreastfeeding@gmail.com.